Amazing Kids! is delighted to announce the winners of our 2nd Annual Launch My Dream! T-Shirt Design and Essay Contest! Both Winners will receive this amazing Pro Model Kick Scooter in Red. Wayfair has over 200 online stores where you can find everything from children’s luggage to bed sets to fantastic fitness equipment, to cookware! Amazing Kids! sends a big thank-you to our sponsor: Wayfair. You all did an outstanding job on your entries and the competition was very tough again this year! So tough, that it was hard for our judges to pick just one dream to help launch this year so…while we could not select everyone’s wonderful dreams to launch, we compromised and actually picked TWO winners this year!!! 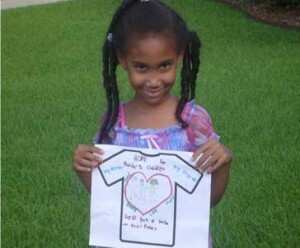 9-year-old Remmi Smith of Tulsa, Oklahoma whose dream is “Healthy Kids”! 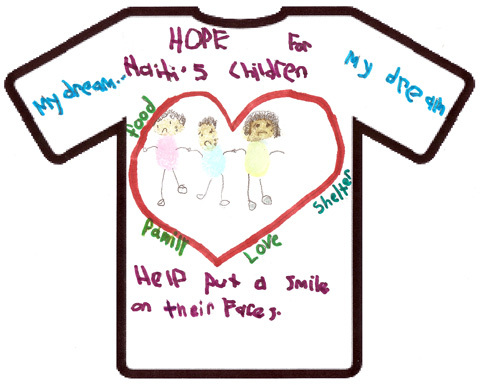 Check out their winning designs and essays that follow, describing their beautiful dreams of helping other children so they too can have happy, healthy lives and someday launch their own amazing dreams! Who knows? Maybe you’ll get inspired to join their Dream Teams and help them launch their dreams! 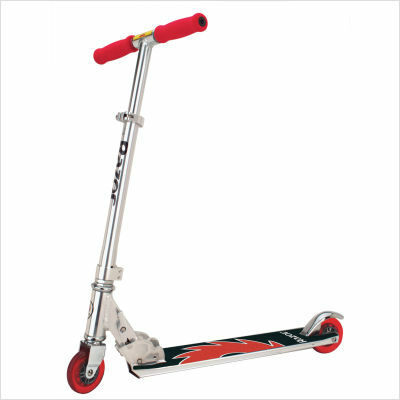 Each winner will receive a Razor scooter, one of their Launch My Dream! T-shirts as well as half the proceeds of the sales of their shirts and other promotional items (like aprons, mugs, water bottles, etc!) to support their dreams. The other half of the proceeds will go to support the Launch My Dream! initiative, so Amazing Kids! can help even more kids like Remmi and Thalia launch their dreams. WINNERS OF THE 2ND ANNUAL LAUNCH MY DREAM! 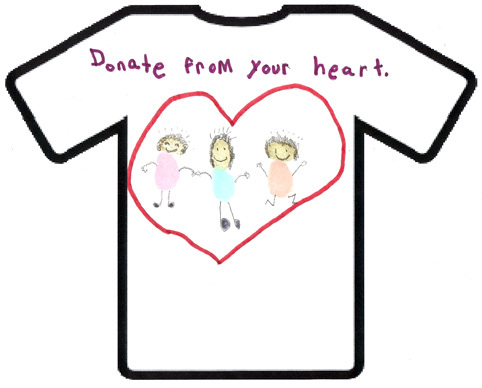 T-SHIRT DESIGN AND ESSAY CONTEST! Amazing Kids! is excited to be helping Thalia build her very own “Launch My Dream! Team” so she can send toys and pen pal letters from American children to the Haitian children! 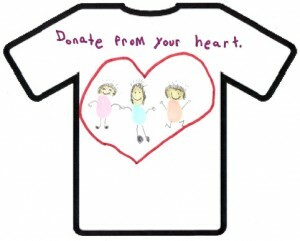 Ashlee’s Toy Closet (www.ashleestoycloset.org), an organization founded by a former Amazing Kid! of the Month Ashlee Smith. Ashlee’s organization will collect toy donations to help Thalia send to children in Haiti. The Amazing Kids! PenPals program (www.amazing-kids.org/penpals) will help connect Haitian children with pen pals from our program who are from French immersion schools throughout the United States. In that way, the toy donations are personalized, and each child in Haiti not only receives a new toy, but a new friend from America! If you are interested in helping support Thalia’s dream, by either making a donation or joining her Dream Team, please contact us at: dreamteam@amazing-kids.org. 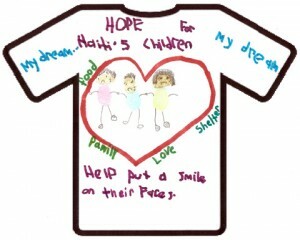 Thalia’s “Hope for Haiti’s Children” Launch My Dream! 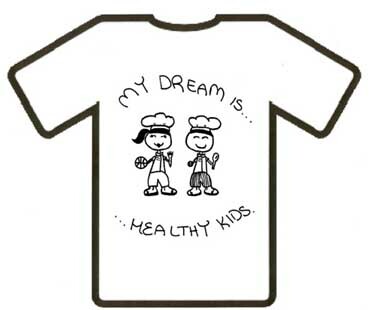 shirt and other promotional items will be available for purchase soon in Amazing Kids! new Zazzle.com online store, so stay tuned! My name is Remmi Smith. I have a kids’ cooking show called “Cook Time with Remmi,” where I prepare healthy meals only. About a year ago, my mom and I were looking at an article on how 1 out of 3 kids are either overweight, obese, or at risk, and a third of kids under the age of 18 are also at risk of Type II diabetes. This means that most overweight or obese children will become overweight or obese adults: It is a growing health problem. So, my mom and I figured that if kids learned how to cook healthier, they would end up eating healthier. Also, exercising is an important part of being healthy. It helps with our hearts and can prevent a lot of different diseases. 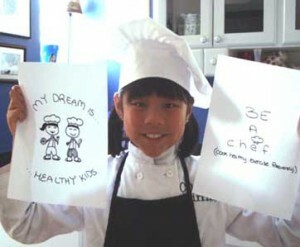 To get my dream to work, I would want kids to take a challenge to encourage them to eat and live healthier. My “Become a C.H.E.F. (C.ook H.ealthy. E.xercise F.requently) Challenge” would encourage kids to eat healthier by learning how to cook in the kitchen, or help their parents cook healthy meals, and become more active. The Challenge would last for 3 months, because this is how long I have heard it takes for a habit to form. They can write down their experience in a diary, writing about what they ate, what they cooked, and what they did to be active. At the end of the 3 month Challenge, the kids would enter into a contest where they would write an essay, 100 words or less, describing their experience in the last 3 months and how they accomplished getting healthy and how they plan to stay healthy. The winner would be selected on their personal goal for the future and what they did to accomplish healthy cooking skills and exercising frequently. All participants would receive a “Become a C.H.E.F. (C.ook H.ealthy. E.xercise F.requently)” T-shirt and the winner would win a $500 prize. Amazing Kids! is delighted to be helping Remmi build her very own “Launch My Dream! Team” and kick off her “Be a C.H.E.F. Challenge” (coming soon! ), so she can teach children about how to be a C.H.E.F. (Cook Healthy. Exercise Frequently). Sales of her winning t-shirt will help raise funds for the Juvenile Diabetes Research Foundation and the Launch My Dream! initiative, so she can help even more kids launch their amazing dreams. Juvenile Diabetes Research Foundation International (www.jdrf.org), the worldwide leader for research to cure type 1 diabetes. It sets the global agenda for diabetes research, and is the largest charitable funder and advocate of diabetes science worldwide. The mission of JDRF is to find a cure for diabetes and its complications through the support of research. Type 1 diabetes is an autoimmune disease that strikes children and adults suddenly. Metro Appliances and More (www.metroappliancesandmore.com/) is the largest appliance dealer in the Midwest. The company currently donates the kitchen for Remmi’s Cook Time With Remmi show and will be one of the sponsors for Remmi’s C.H.E.F. Challenge. If you are interested in helping support Remmi’s dream, by either making a donation or joining her Dream Team, please contact us at: dreamteam@amazing-kids.org. Remmi’s Launch My Dream! shirt, “Be a C.H.E.F., Cook Healthy. Exercise Frequently” will be available for purchase soon in Amazing Kids! new Zazzle.com online store, so stay tuned! Congratulations again to our winners and thanks again to everyone who entered! Be sure to enter again next year for your chance to get help launching your amazing dreams! ~ Your friends at Amazing Kids!